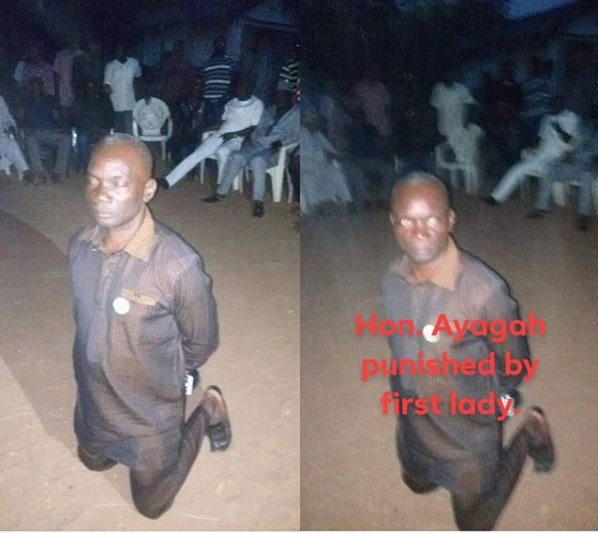 A Local Government Chairman identified as Francis Ayagah, was spotted kneeling down as an alleged punishment after shouting APC at a PDP rally. Francis who is said to be the Chairman of Gwer West Local Government council was elected chairman on the platform of the APC but defected in the new political realignment in Benue to the PDP. But d chairman 4cup sha, where he sense dey wen he go dey shout apc 4 pdp rally?